Not long ago, Mark Lewis, a decorated Audio Pro in the field of Cinema, TV and independent film, and founder of CinemaSound.com – a huge online resource for audio for film education, got in touch with me and send me his “AA battery Showdown” as he calls it. I really don’t use AA batteries in my daily work, but I am sure there are plenty of you out there who record sound for video that often buy huge quantities of batteries and a massive (and well researched) test comparison such as this, can definitely help you chose the right battery and even save you some money in the process. Geared primarily towards sounds recordists and those audio professionals working in Film/TV, who frequently rely on AA batteries for wireless transmitters and receivers, the CinemaSound AA Battery Comparison is definitely the most comprehensive and extensive test I’ve seen on the topic that will definitely benefit those of you out there working in this field or using AA batteries often in your day-to-day work on set. 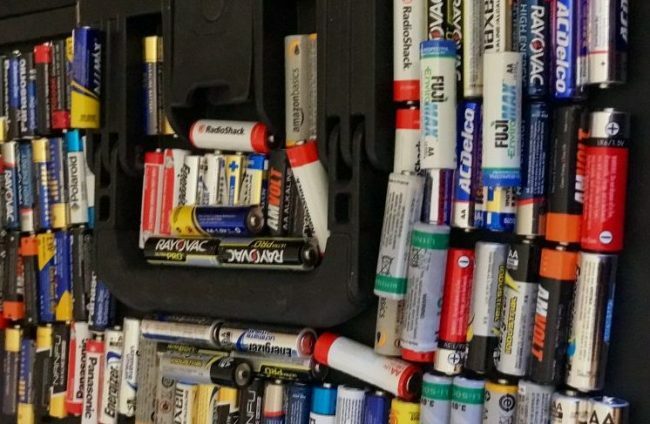 AA batteries and other on-set consumables are often overlooked due to their low cost of acquisition, but over time they can add to a significant expense. So why not find out which battery gives you the best bang for your buck or performs the best in the case of sound recording on set? These parameters were set generally because, Amazon typically will have the best retail price, and shipping is usually free. If shipping was not free, we added that price to the recorded price for the battery. Mark also goes on to mention that nearly all professional-grade wireless TX/RX devices use AAs, hence why this battery size was tested. Larger packs of batteries were also chose to save money on quantity, since a battery is generally more expensive if purchased in small packs (sometimes more than 300% more expensive) than in larger packs. Brands tested included popular choices such as Duracell, Energizer Max, Amazon Basics, Maxell, Saft Lithium and many more. For a full list of batteries and the results of the test, do follow the link at the bottom of this post. While not a laboratory-level testing facility, the tests that Mark and his team did, were pretty damn close to it. Their goal was to narrow the standard deviation of the trials as much as possible – while still making the tests reasonable. 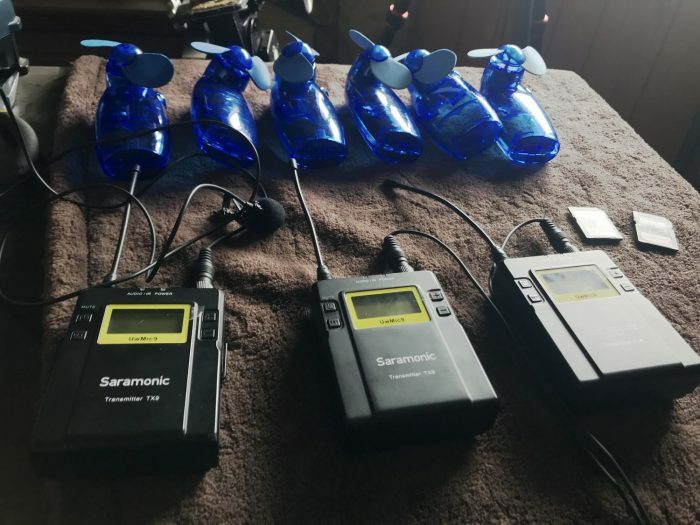 They created a series of tests to quantify a standard deviation (SD) with the wireless transmitters they chose – the budget friendly, Saramonic UWmic9 Transmitters, since they didn’t want to tie up their production kit they were using on a day to day basis. Then the would take that data and apply it to the general testing mechanism: 14 personal cooling fans. The UWmic9s were set to medium power transmission and the accompanying lavalier microphones were plugged in and activated (increasing the battery load). All tests were recorded on their Canon C100 and timings were logged to the second. Zinc batteries (which are more geared towards specialty device use) offer no significant advantage (except specifically in the case of the Panasonic Zinc and Kodak Heavy Duty – for flash use) over Alkaline batteries. What made “pro” batteries professional wasn’t the length of time they lasted, but how cheaply they could be purchased! The results may surprise you, as they did Mark and his team; it turns out the much beloved Duracell ProCell were not the best performing or best value alkaline batteries! The CinemaSound AA Battery Test showed their performance was around the bottom of the average. To make matters works, the tests showed that regular Duracell batteries lasted longer by over 31%! And while our SD (4.2% for ProCell and 15.6% for Duracell) would still allow for a 11.2% superior life for the Duracell, that’s still pretty ridiculous considering the “ProCell” name infers a “better” battery. Nope. Not in terms of battery life. We were mad. To see the full results and dig deep into this extensive and very valuable test head over to CinemaSound.com.